BATON ROUGE – A 17-year-old is among a group of people facing charges for opening fire on a house in North Baton Rouge this weekend then trying to flee from police in a high-speed chase on the interstate. 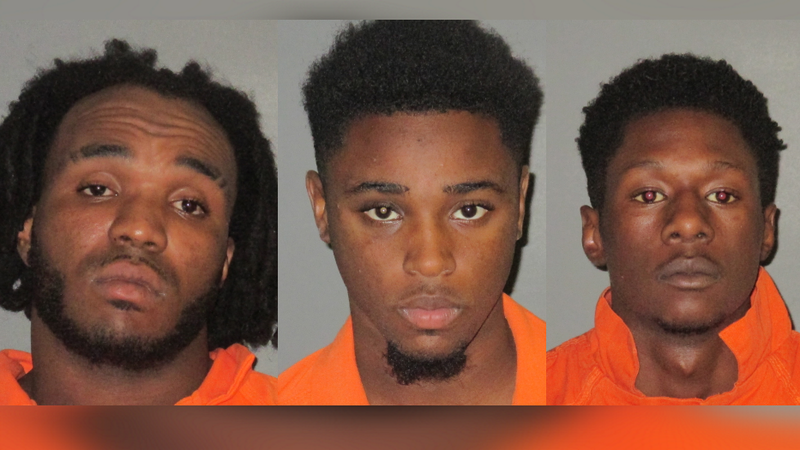 Demarco White, 17, Tyrese James, 18, Jamie Dailey, 18, and Deshawn Breaux, 22, were booked into jail on attempted murder charges, illegal use of a weapon and resisting an officer. There were eight people in the home on Avenue H when they opened fire, police said, so they are facing eight counts of attempted murder. Of the eight people in the home, four people were shot when bullets tore through the house. Investigators said the group opened fire from outside, blowing 60 rounds from a shotgun, assault rifle and handgun. Of those in the home, the youngest was two-years-old, police wrote in arrest reports filed at the jail and obtained by WBRZ. The group was arrested after a chase down I-110 in a car and then briefly on foot in the area of I-110 south of Memorial Stadium. The shooting happened around 5 p.m. Sunday.